Phnom Penh (FN), Feb. 7 - Lars Buechler, Head of Programme Agriculture and Food Security, representing​ Swiss Development and Cooperation, confirmed Thursday that the Government and People of Switzerland will continue to aid US$6 million for mine clearance in Cambodia 2020-2025, speaking in a courtesy call on First Vice-President of the Cambodian Mine Action and Victim Assistance Authority (CMAA) Ly Thuch in Phnom Penh. 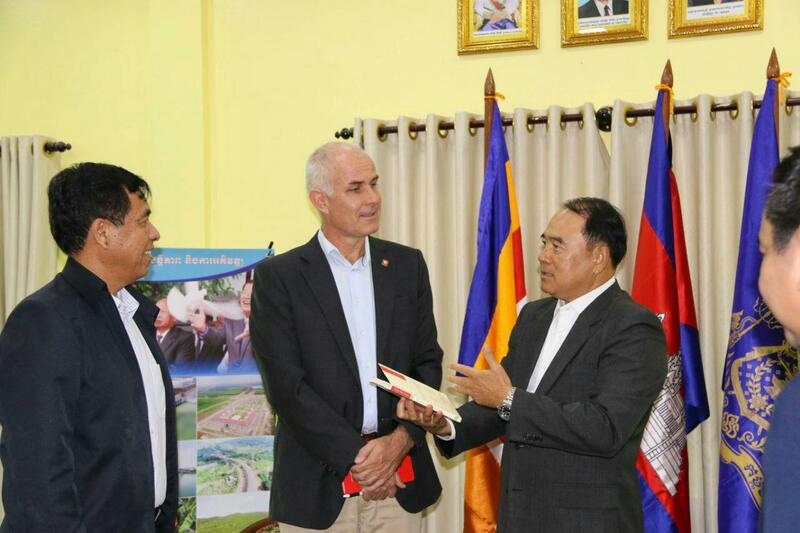 From 2013 until 2019, Switzerland has provided more than US$7 million in fund to provide safe agrarian land for Cambodian farming community, to build houses, and to build necessary infrastructures. Senior Minister Ly Thuch, on behalf of Prime Minister Hun Sen, thanked the Swiss government for their support on demining sector, in line with 2018-2025 National Mine Action Strategy, and on poverty eradication in Cambodia. Over the first 10 months of 2018, Cambodian Mine Action Center (CMAC) had cleared more than 75 square kilometers of land mines and destroyed a total of 37,665 unexploded ordnances, according to Heng Ratana, Director General of Cambodian Mine Action Center (CMAC). Ratana told Fresh News that in addition to mine clearance, CMAC has actively raised awareness of dangers of explosive remnants of war, and provided mine action training. Ratana added that in 2019, CMAC plans to clear 116 square kilometers of landmines that will require the deployment of 1,700 operation forces, 68 landline detection dogs, 45 demining machines and other tools, and over 2,500 volunteers. To achieve the 2019 target, CMAC requires more than US$16 million to carry out 29 projects, the director undermined. 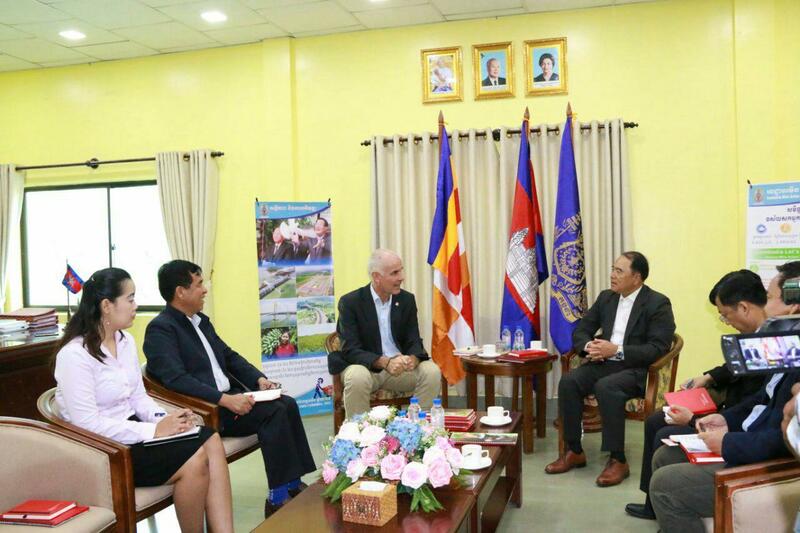 Hun Manit, deputy chief of cabinet of Prime Minister Hun Sen, said that without dedication of the deminers, Cambodia would not be developed as she is today. 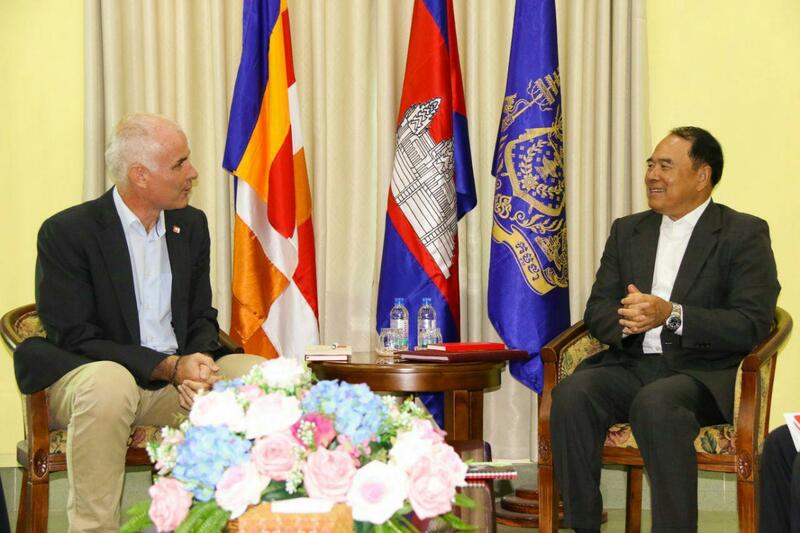 Hun Manit, son of the premier, urged international partners to continue the demining aids for Cambodia in response to the needs of Cambodian people. Due to Cambodia's recent efforts in the last decades, the accidents resulted from mine and unexploded ordnances have dropped remarkably. Landmine casualties in Cambodia from 2000-2005 accounted for over 800 accidents per year, fell short to 100 accidents per year in 2016-2018. Despite the dramatic drop in rates, this figure is still higher compared to countries of mine issues. Some victims suffered mine in their farmland. They had no choices but to continue farming to support their livelihoods even though the land has yet be cleared. The Royal Government of Cambodia, on July 20, approved a 10% additional budget to support the Cambodian Mine Action Sector. "Assisting mine action sector is the government's effort to reduce rural poverty," said Ly Thuch.